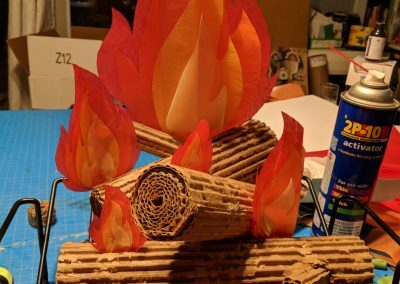 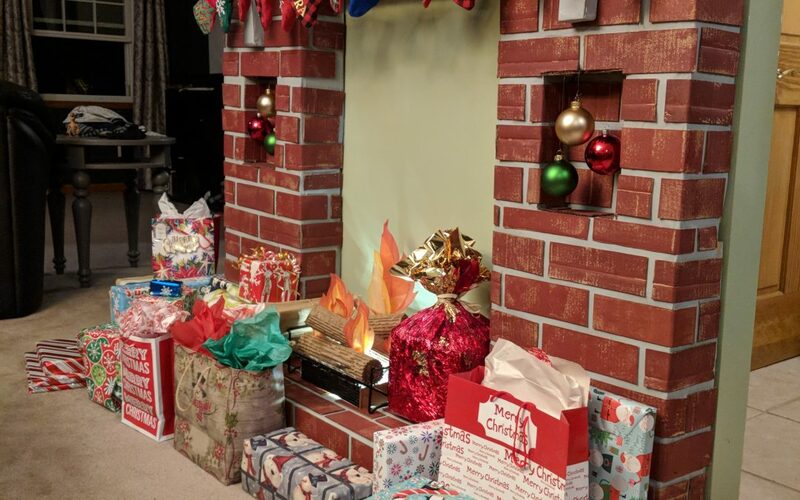 Cardboard Fireplace | Avi And Robin! Full gallery is at the bottom. 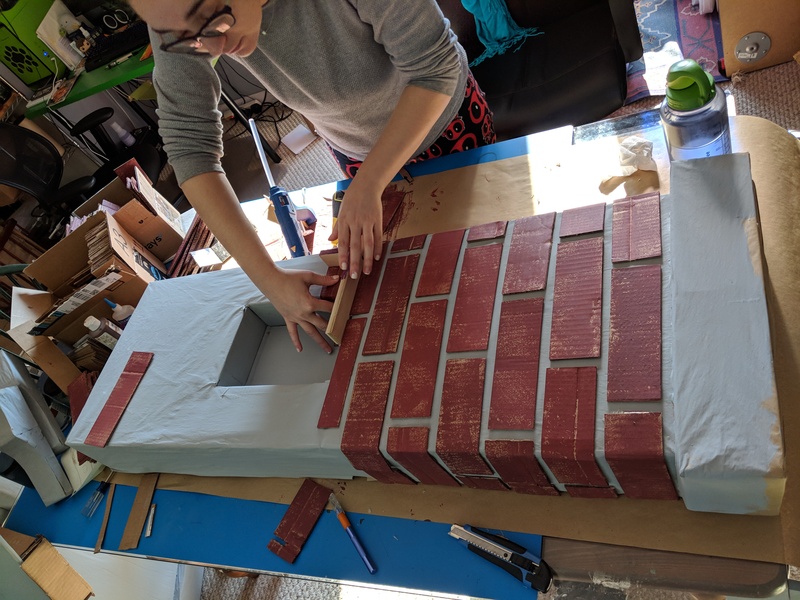 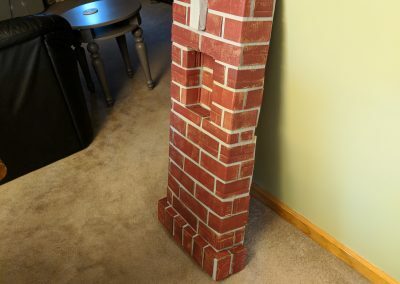 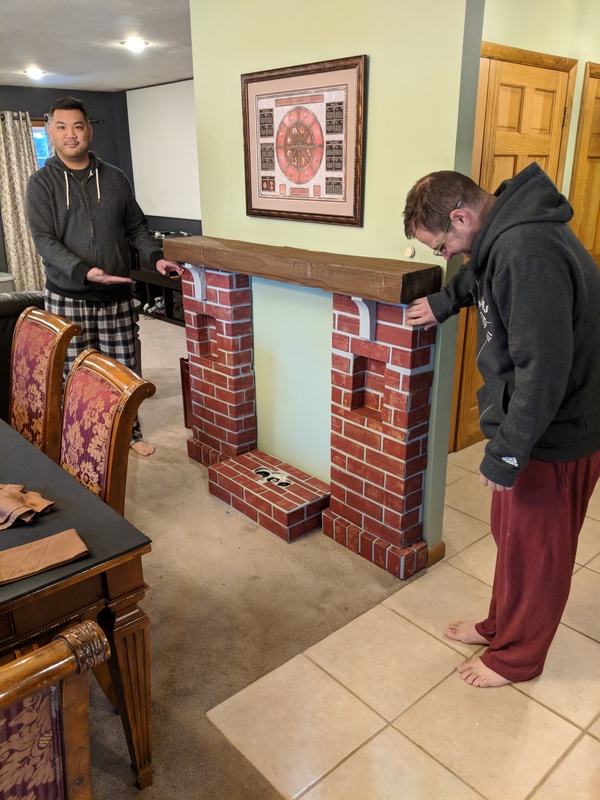 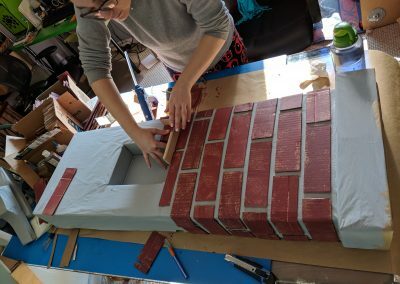 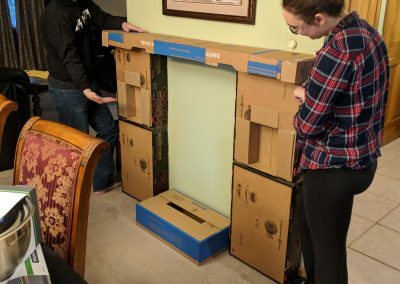 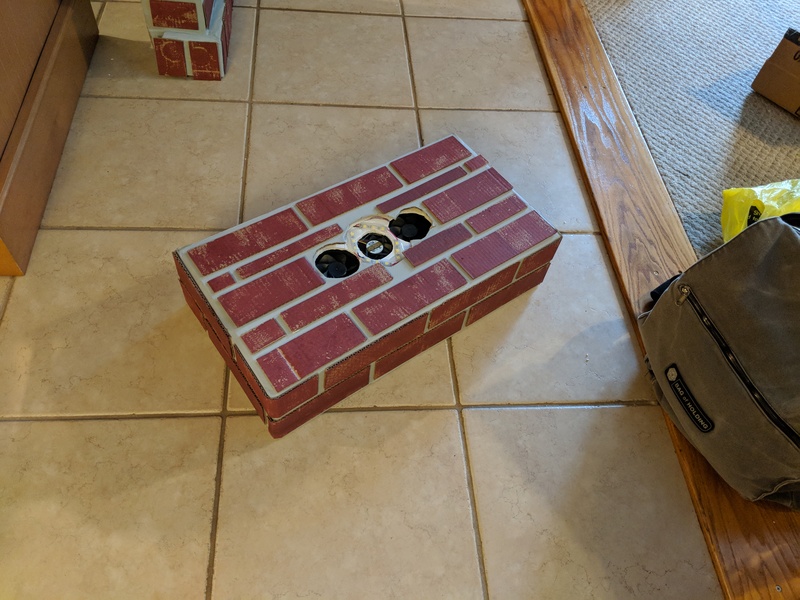 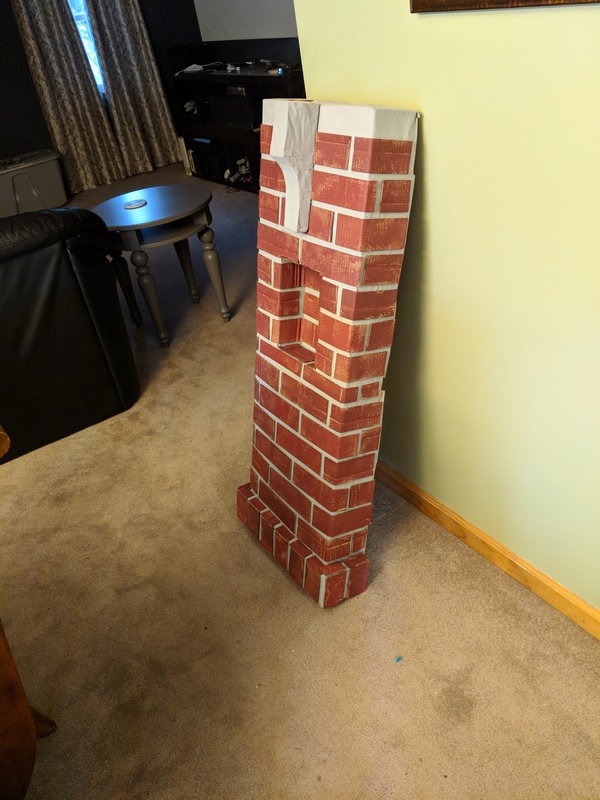 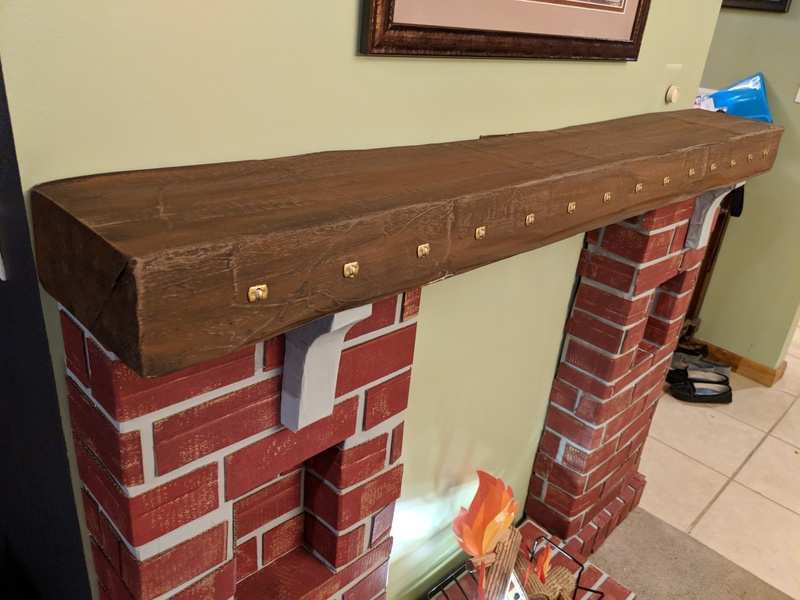 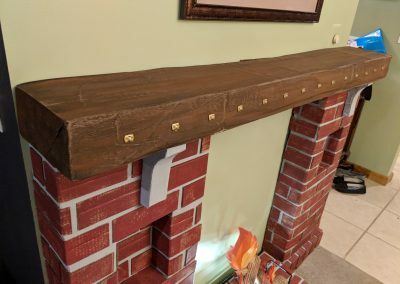 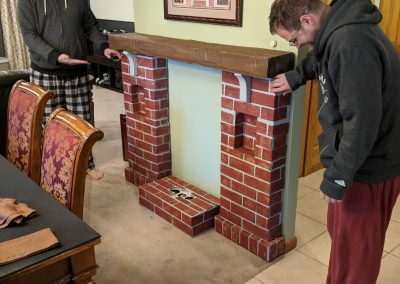 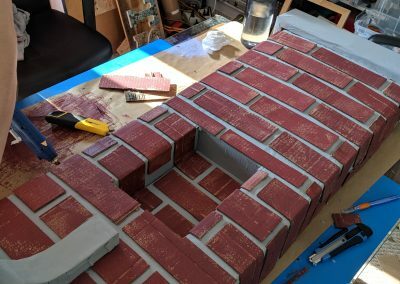 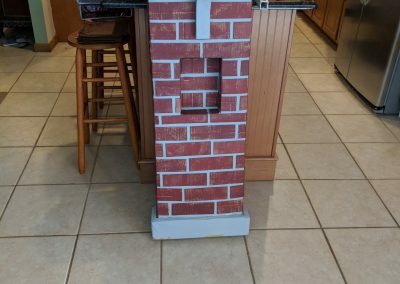 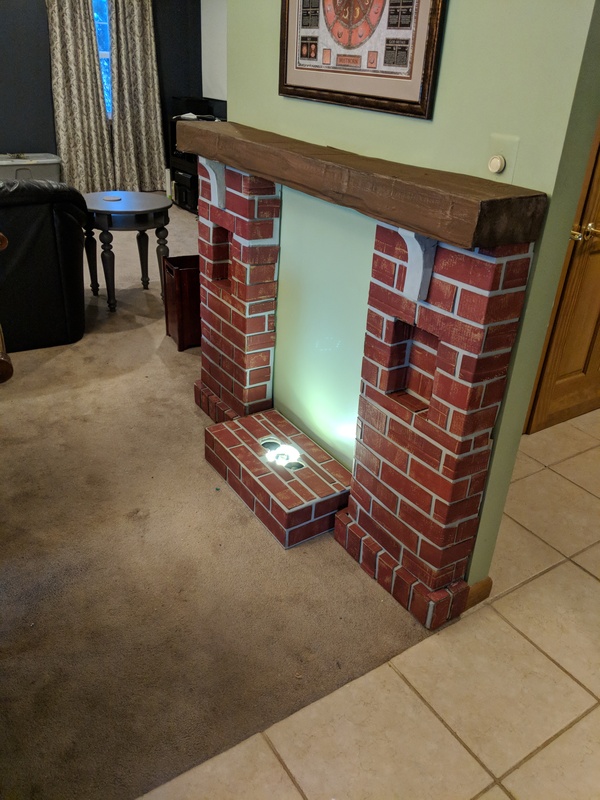 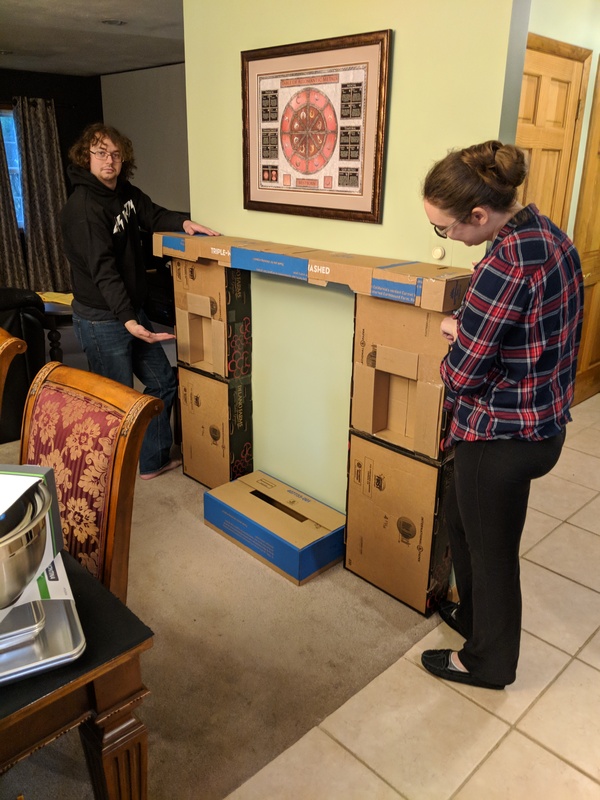 So we built a cardboard fireplace! 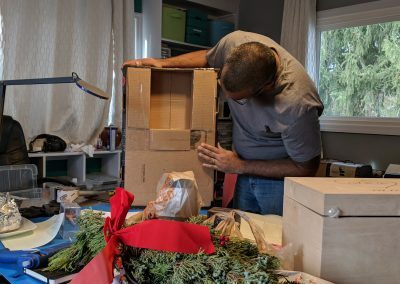 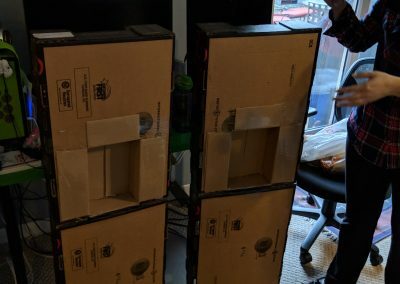 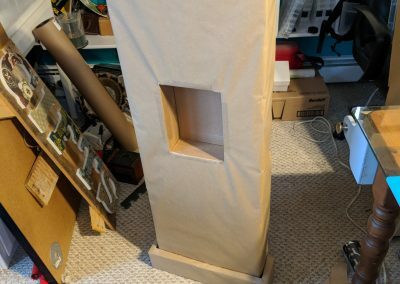 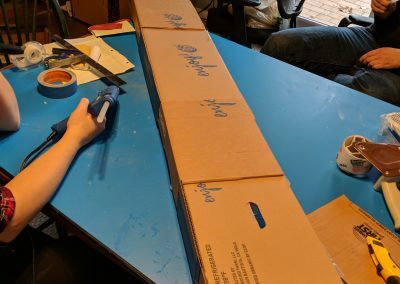 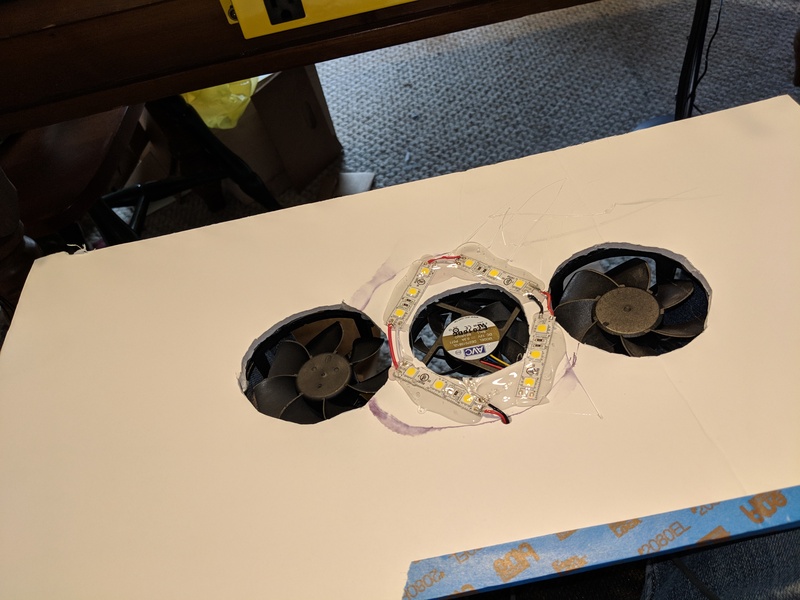 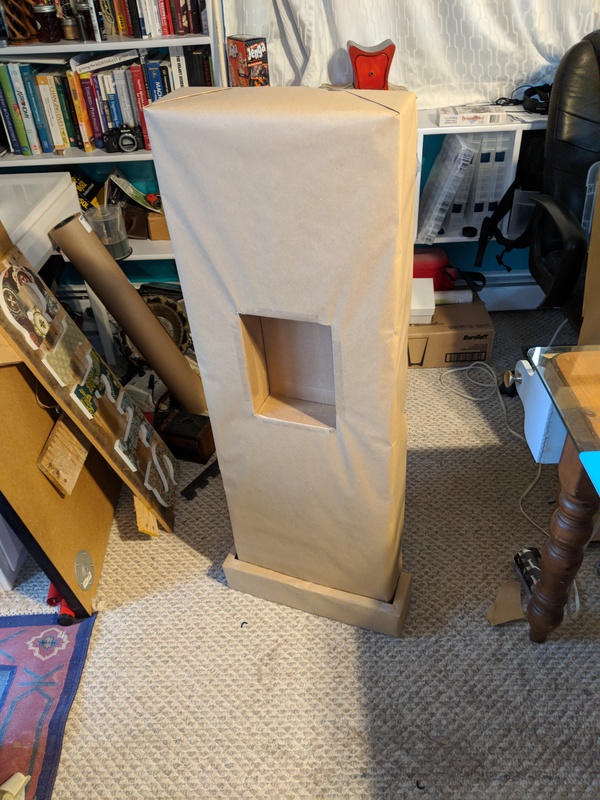 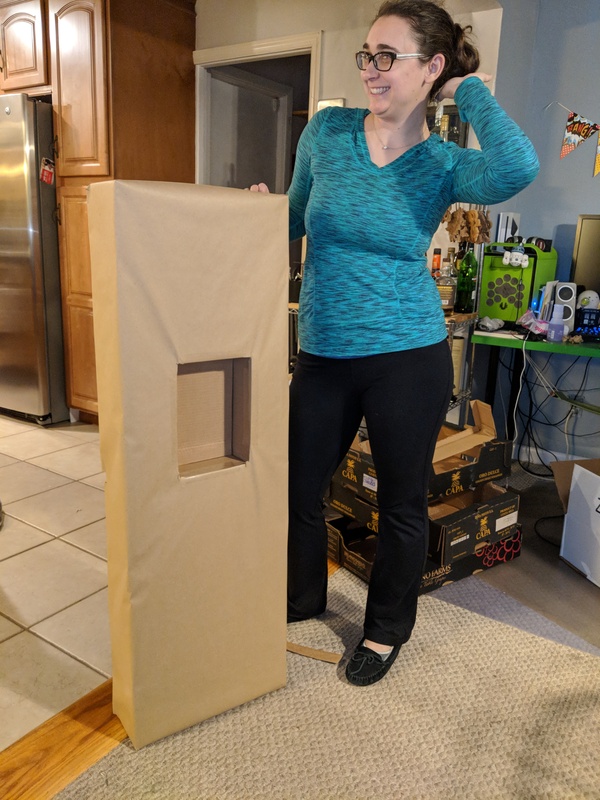 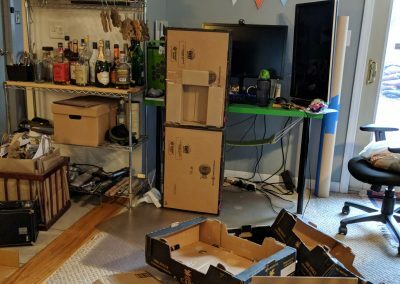 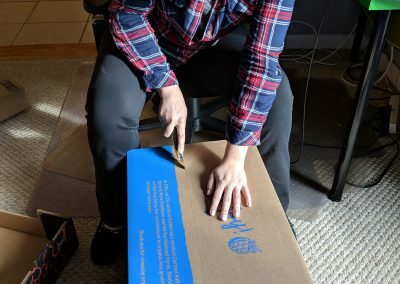 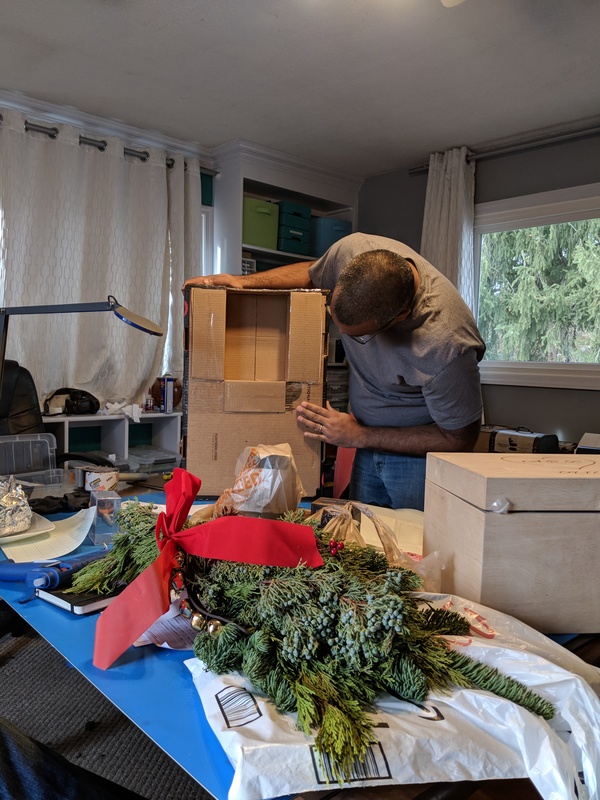 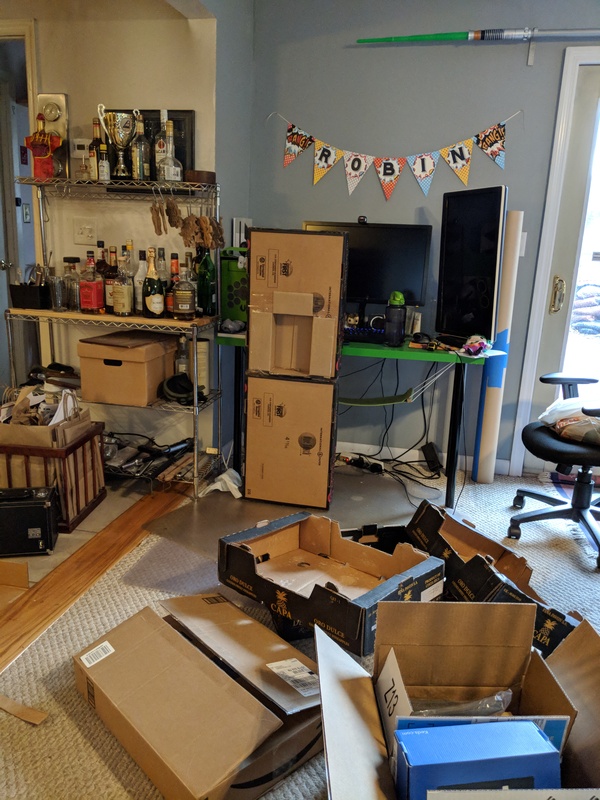 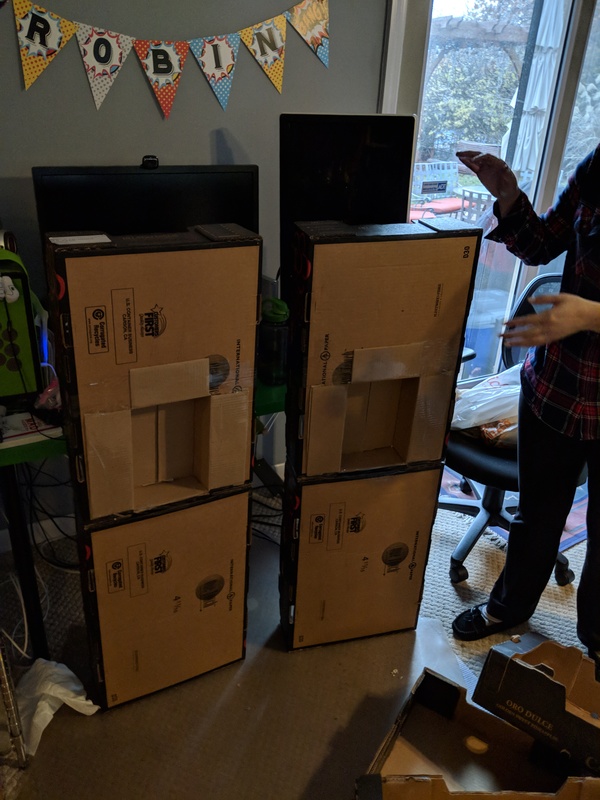 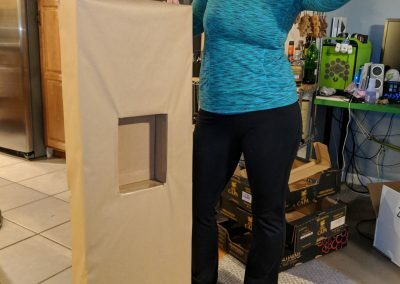 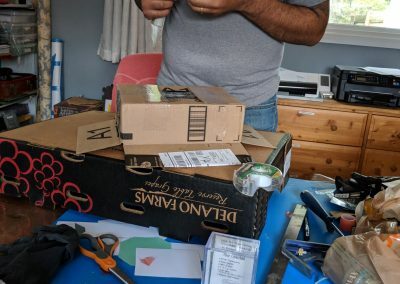 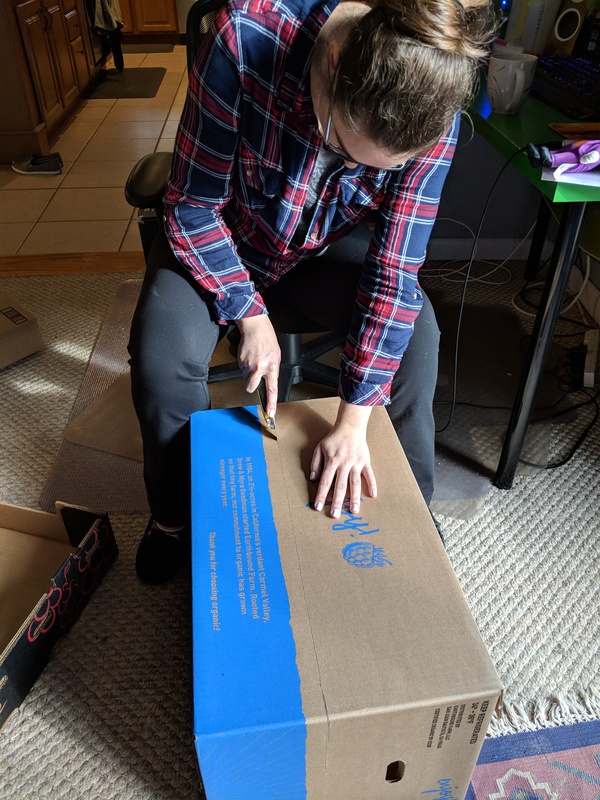 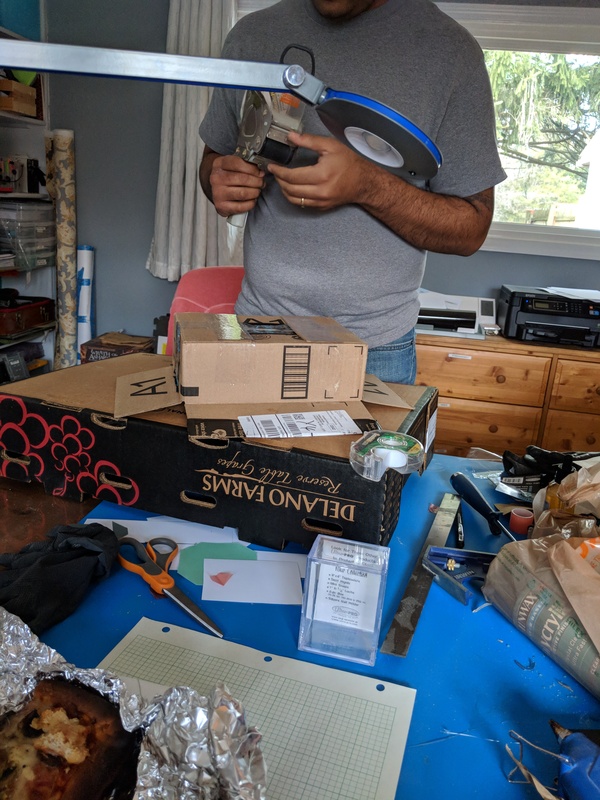 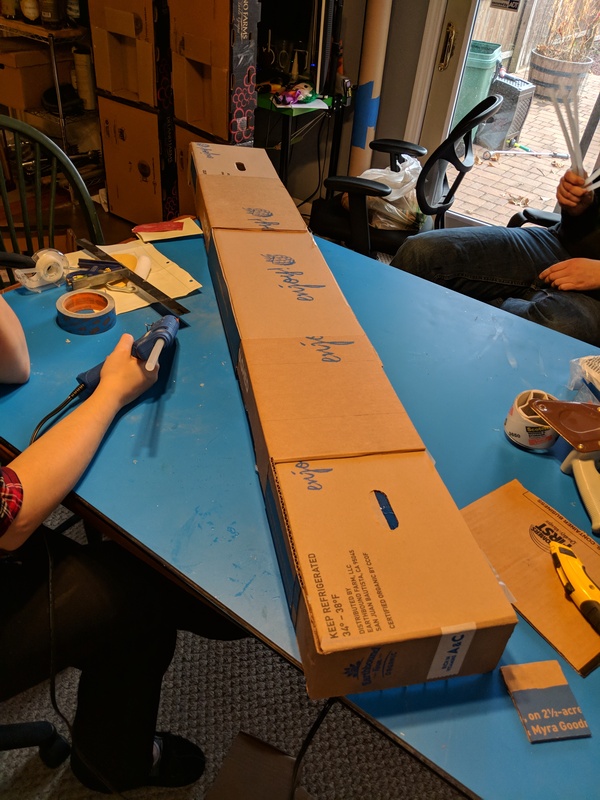 We started with a whole mess of cardboard, some from holiday gift purchases online, but mostly it came from Costco, their produce cardboard (which is free to take from any warehouse) is really sturdy high quality stuff. 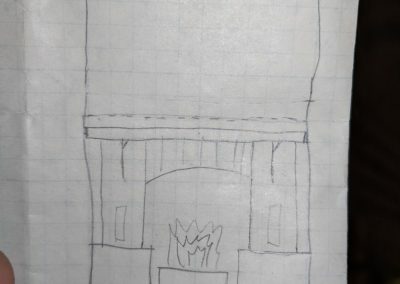 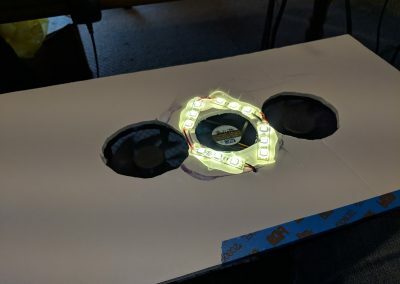 We started with a very rough sketch, and just went from there to start! 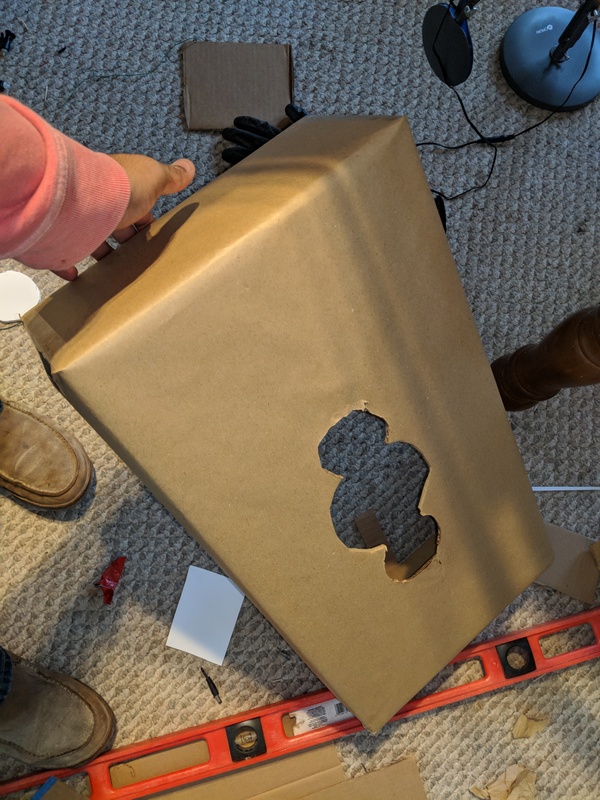 Then we set out for some cardboard treatment. 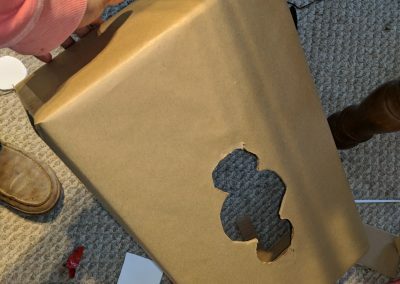 We skinned them all with craft paper (usually spelled Kraft paper if you’re looking to buy some on the internets) using some tape, spray adhesive, clever cuts. 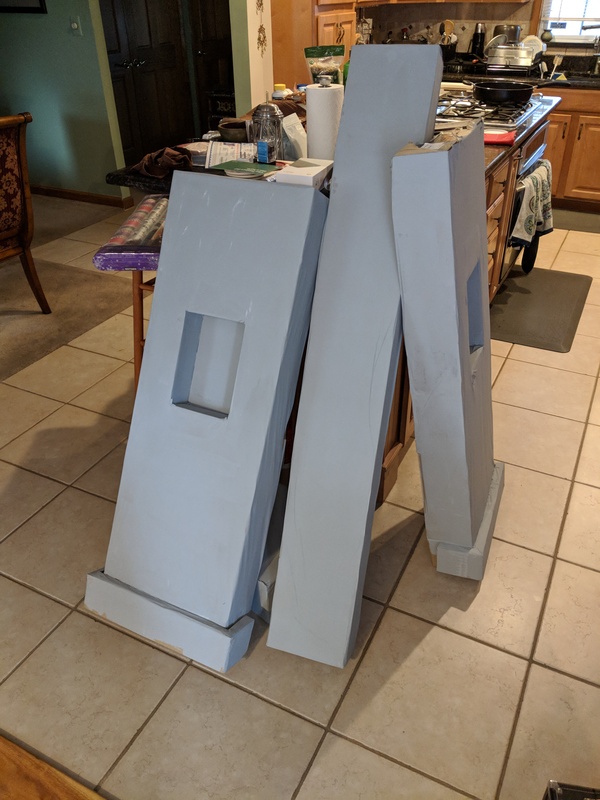 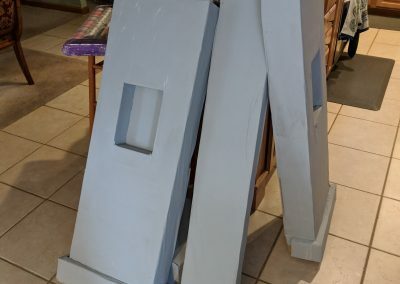 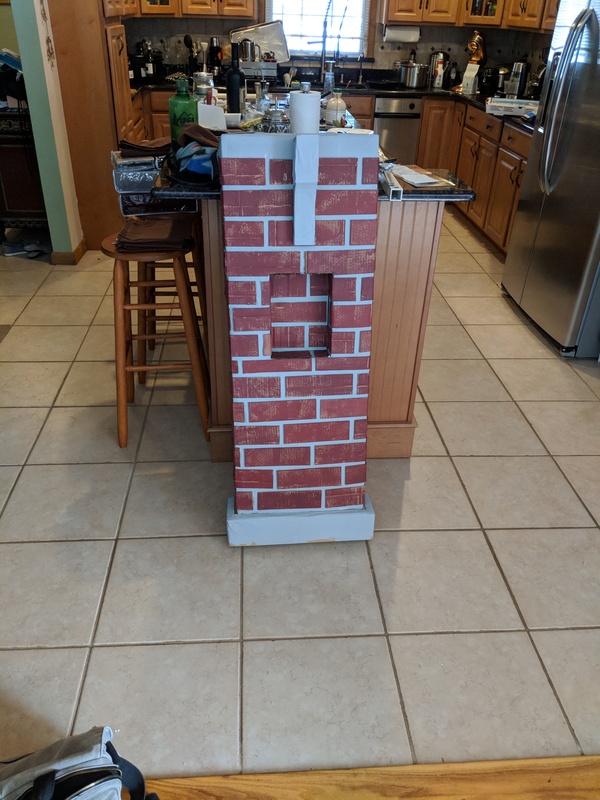 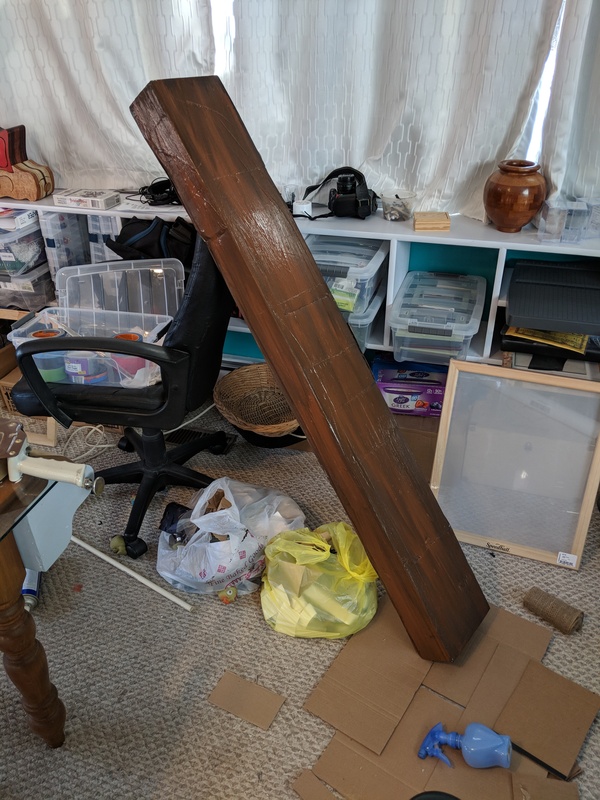 We also made some little reinforcements for the mantle (purely aesthetic, as this whole thing will weigh like 5 pounds total). 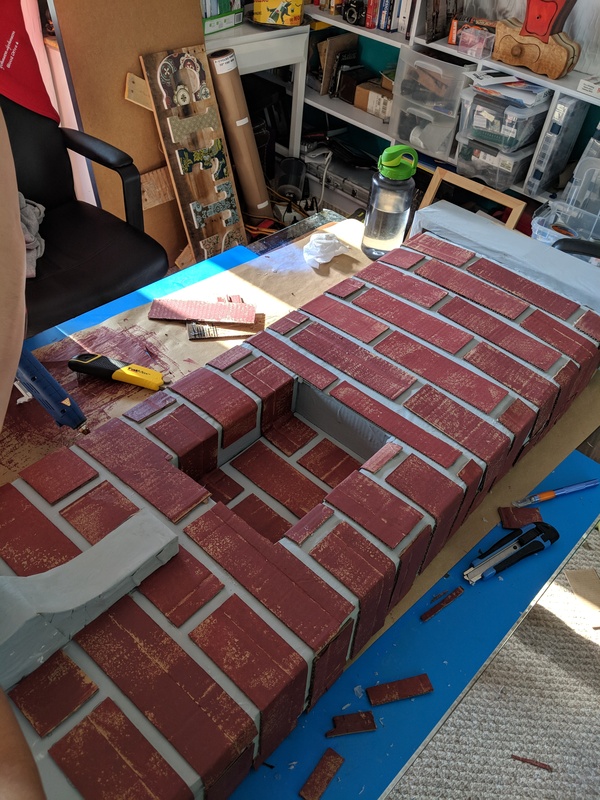 After it all, we painted the whole thing with PVA Primer we had lying around, tinted with some black acrylic paint to make it gray, sort of the color of mortar. 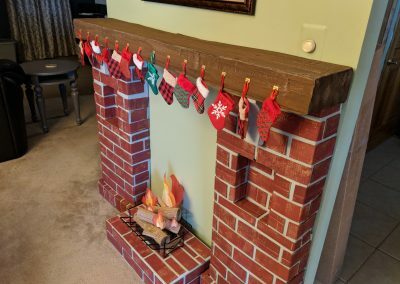 The logs were made with corrugated single-face cardboard, or in our case, we peeled one face off of the cardboard for the extra-rustic (read: couldn’t find single-face cardboard quickly) look. 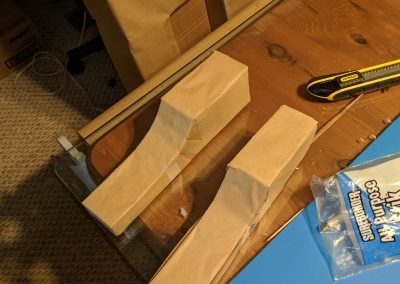 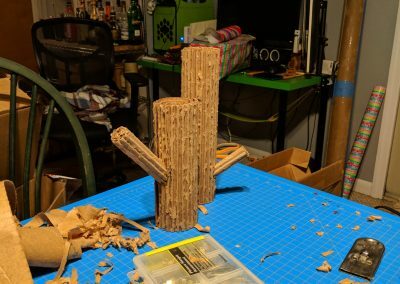 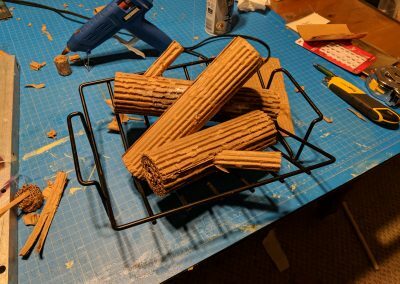 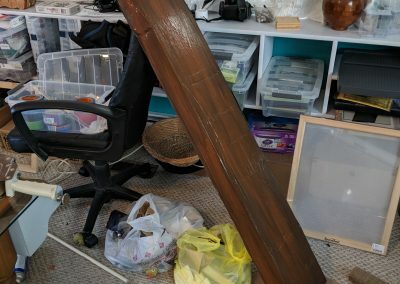 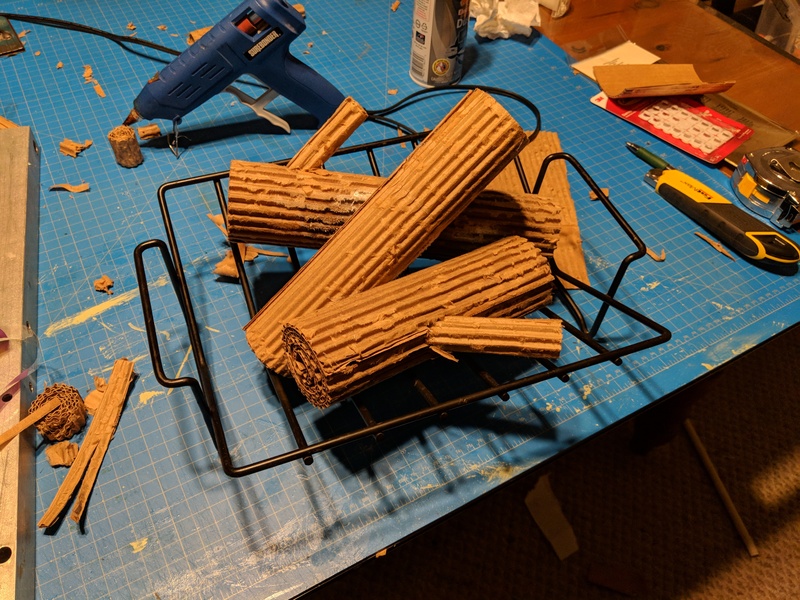 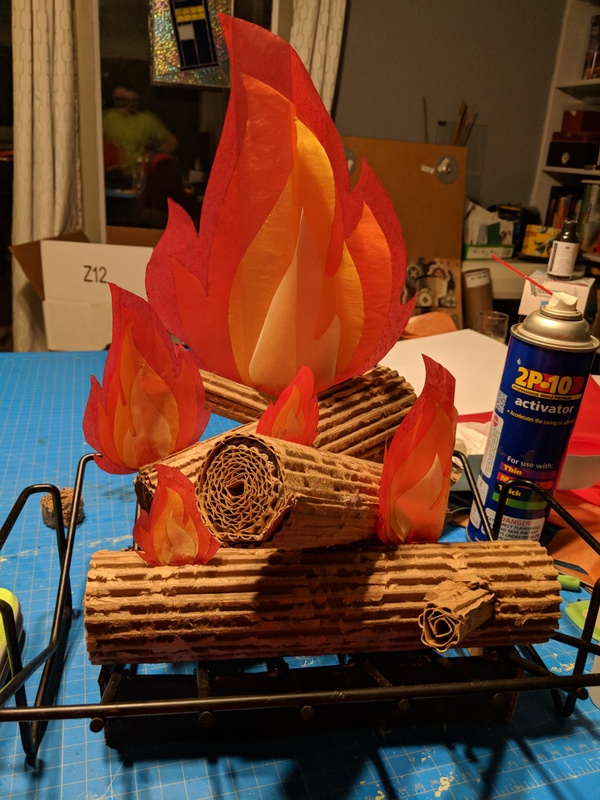 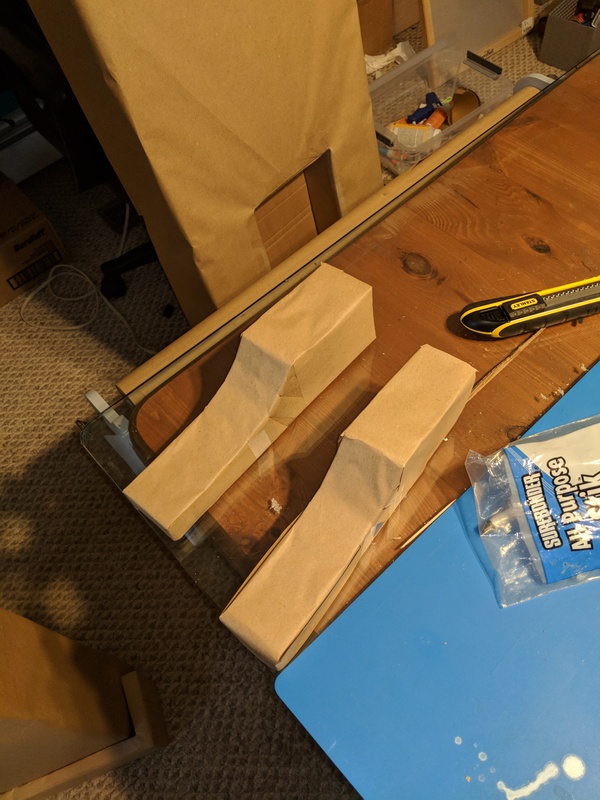 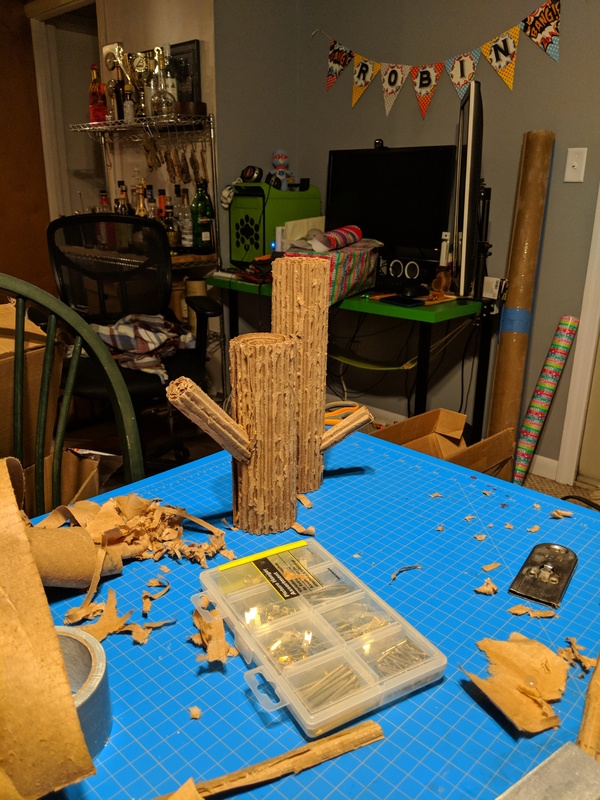 Rolling them up, and basically that’s it, made some smaller ones and hotglued on angles for branches….pretty surprised also at how much this looks like wood! 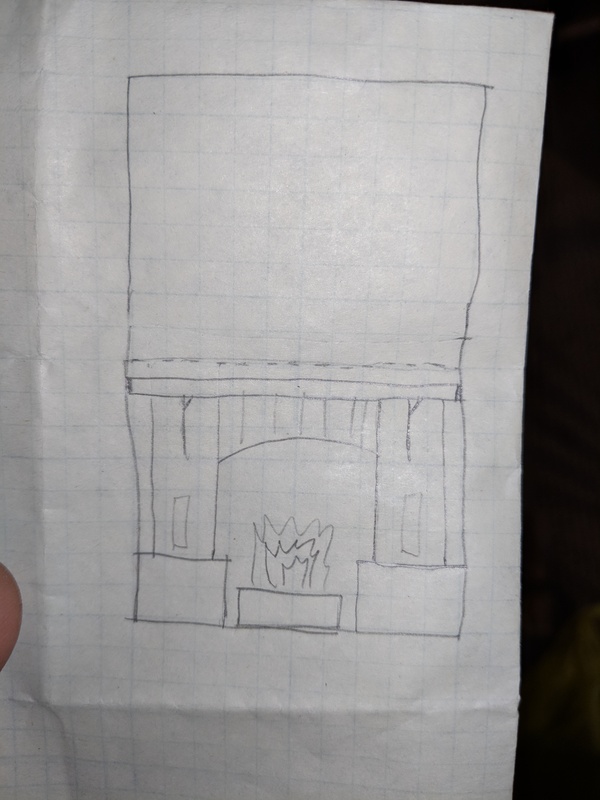 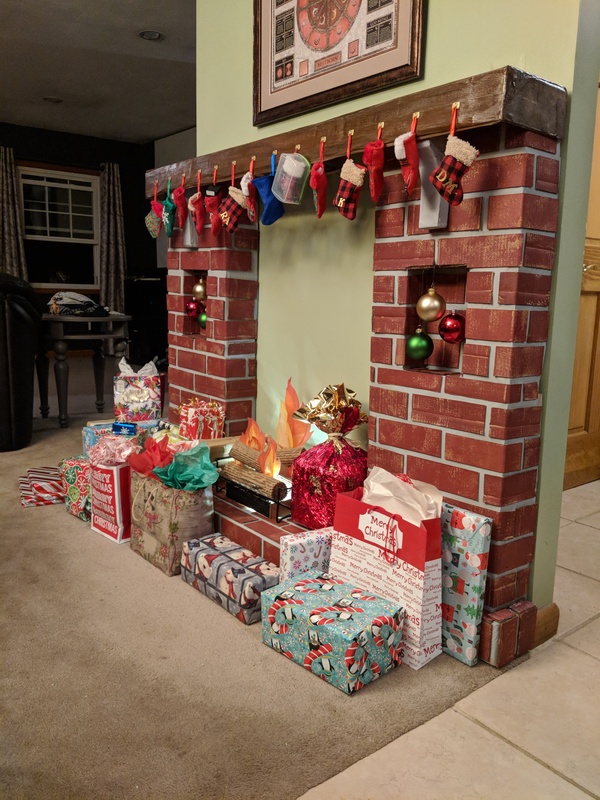 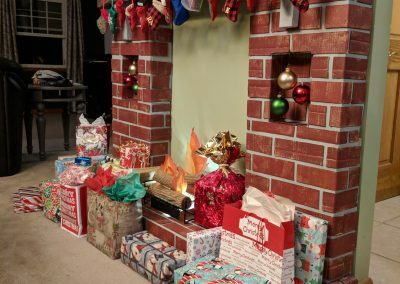 The tissue paper fire really sells the cuteness of this fireplace for us. 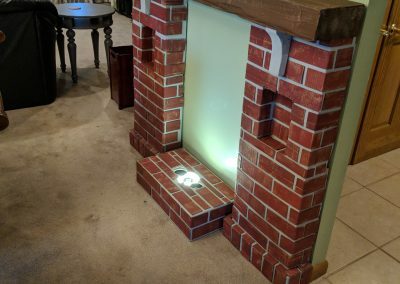 The fans and lights really add a nice flickering touch too!